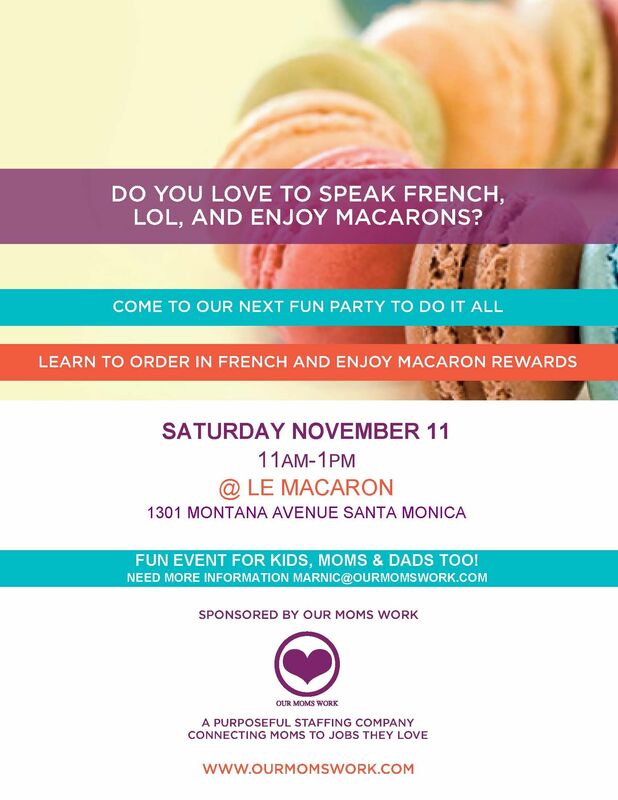 Our Moms Work Fun Intentional Social Community Launches in L.A.
Our Moms Work purpose is to improve the quality of life for L.A. working moms by finding them good paying jobs; providing professional development opportunities, and meaningful career advice. 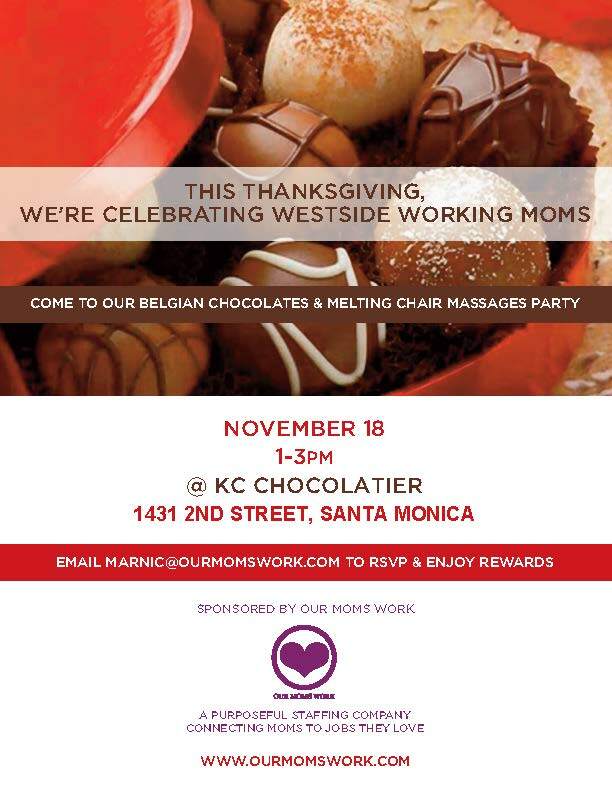 Our Moms Work purpose is to celebrate and help moms by find jobs they love; thru meaningful parties and job fairs. According to U.S. News and World Report, "The U.S. is the world’s most dominant economic and military power; but only rated #7 in taking care of moms....." Who is #1? Switzerland. Carlos Cymerman, Our Moms Work, passionate community leader and advocate adds, "What can we do to be #1? Gratefully advocate, educate, and inspire companies to hire moms." 2. Develop personal relationships with companies and nonprofits that love to hire moms. 3. Provide career/job mentoring, resume review services, and professional development. 1. Companies positively impact and improve the standard of living for families and help invest in kids. 2. Moms are grateful and responsible employees; increasing retention and decreasing cost of hiring. 3. Moms excel at multi-tasking and time management; making work more productive and efficient. Susan Love Loughmiller, Chief Opportunity Officer (Creating Abundance Often); is a longtime activist in Santa Monica and surrounding Westside Los Angeles communities. She was an award-winning journalist for 20-plus years at major metropolitan newspapers around the country until the birth of her first child, Matilda, whom she parented singly while working fulltime in the nonprofit community. She is the recipient of the Communitas Award in Santa Monica for her lifelong body of volunteer work. She works in the executive offices of the Jewish Federation of Greater Los Angeles and outside of work she enjoys design, reading and editing, singing, playing drums, and being a Mom. Her daughter is attending college where she is studying to become a band director. Recruiting for Good since 1998 has been connecting talented Accounting/Finance, Engineering, and IT professionals to great jobs. "Our fun cause is to help moms find jobs they love." Recruiting for Good offers 'cost free' staffing services for L.A. companies and nonprofits that hire "our moms" for administrative, marketing, and operation (HR, legal, sales) positions.